The kitchen is exposed to grime, dirt, bacteria, and grease. How can you keep your kitchen cabinets clean with all the cooking, kids, pets, and more? What kitchen cabinet resources are available to make cleaning convenient and affordable? Here are some helpful tips for cleaning your kitchen cabinets. How Often Should I Clean My Cabinets? Because of the growth of dirt and bacteria in the kitchen, and the close proximity to food surfaces, it is important to clean your cabinets on a weekly, even biweekly, basis. If you have a lot of traffic in your kitchen, like children opening and closing cabinets all day, it would be best to keep a regular cleaning schedule. You can save time and money with helpful kitchen resources like nonabrasive all-purpose cleaners, vinegar, or even a professional cleaning surface for, especially difficult jobs. 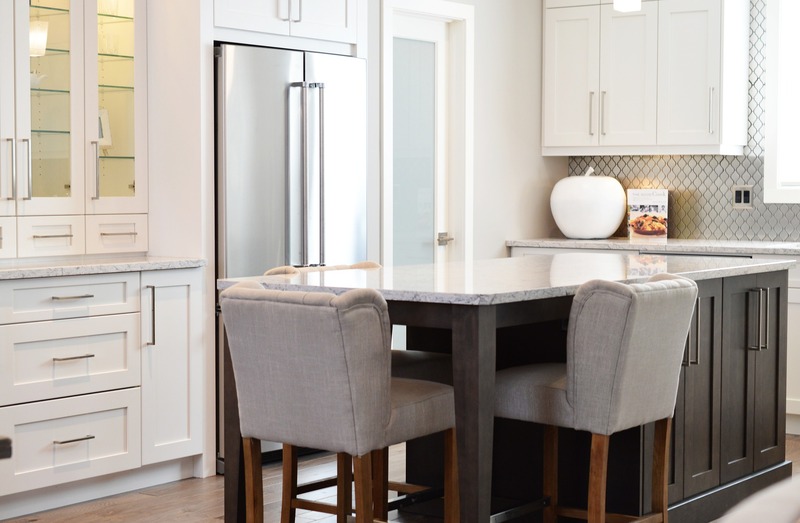 For homeowners coming into a well-loved home with dirty cabinets, hiring a professional may make sense initially for a good scrub down before you make yourself at home. For single working professionals, cleaning the cabinets once or twice a month may be enough, especially if you eat out more often than eat at home. The simplest way to clean your cabinets is to use a little bit of elbow grease and plain warm water with heavily diluted all-purpose cleaner. Different cabinet materials need different cleaners. In general, vinegar and water or baking soda and water are safe for most surfaces. Wood cabinets need an oil-soap wood cleaner. These can be purchased at the local hardware store. Believe it or not, laundry detergent and water can work for cleaning wood cabinets in a pinch. Avoid applying too much water. Always use a dry cloth to wipe any excess liquid after cleaning. Vinegar is an excellent and always-on-hand cleaner for kitchen cabinets. It helps remove odor and sticky film. Just mix with water and use some elbow grease to get out any dirt and tough stains. Vinegar is an excellent solution if you want to avoid chemicals or have pets and young children around. Mix baking soda and water to create a paste. This paste can then be applying to the toughest patches of grime and dirt. Apply the paste. Wait a few minutes. Then use a damp cloth to clean away the dirt and baking soda. Reapply if needed. Cleaning your kitchen cabinets can be quick and inexpensive. Remove bacteria and dirty quickly with these helpful items. Enjoy clean cabinets and a clean kitchen. Everyone homeowner renovates their home periodically. 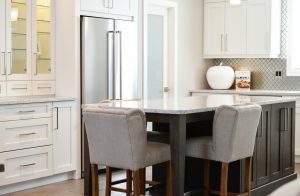 Whether it’s an upgrade to the appliances or a brand new kitchen renovation, avoid common design and remodeling mistakes as you design the kitchen of your dreams. Before you start to knock down walls and purchase new cabinets, be sure that your new design fits with your overall workflow. What does this mean? This means that your kitchen renovation should reflect how you use your kitchen. Is cooking a family affair, with kids and adults mingling in the kitchen while you are cooking? Do you have a breakfast nook or need a place to put your Keurig? 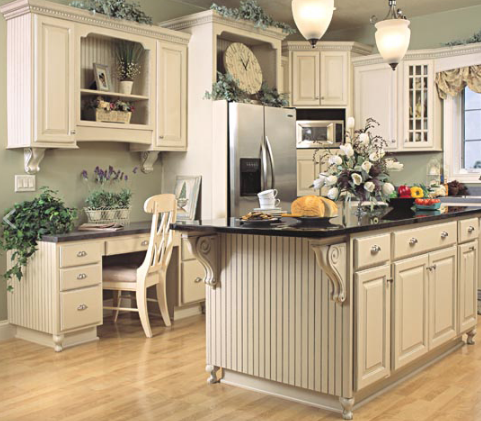 Do you need new cabinets to accommodate your China collection? Do you need a nook for your pet? It is important to keep all of these things in mind when renovating your kitchen space. Don’t be the homeowner who renovates the kitchen and finds out that all the counter space is gone. Counter space is prime real estate in your home. You can add shelving supports or an island to increase your counter space. Talk with your designer to see how you can extend your overall counter space. Additionally, never underestimate the power of good storage. Maximize the storage in your kitchen cabinets and pantries by optimizing small kitchen spaces. Remembering the little details during your remodel is important. Think about the overall design and color, the backsplash, and what type of cabinet color best matches your home décor. How does it tie together? Does it fit within the overall look of the home? Don’t forget the importance of the appliances that you choose. The kitchen gadgets and appliances in your kitchen may be an afterthought, but they are integral components of your design. Looking to remodel your kitchen? Be sure to remember these great tips. Build the amazing kitchen of your dreams! 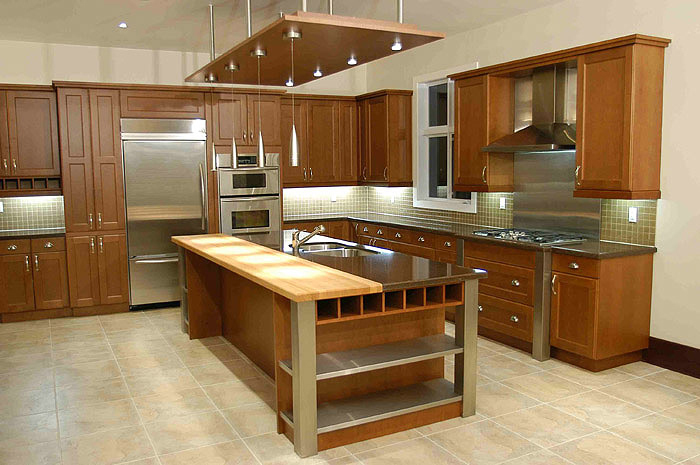 Choosing the right custom kitchen cabinets for your home is an important decision. Before beginning any renovation, it is important to know these key facts about cabinet installation. Before you purchase your custom kitchen cabinets, be sure that you have the layout that you need. Think of both the practical and aesthetic aspects of your kitchen. Will you want an open floor plan, an island, or a more compact kitchen? Do you need to knock out walls or install special lighting? What about plumbing considerations? Think about how you naturally move in the kitchen. You might find that the sink would be more convenient in another location or that additional counter space is definitely a necessity. Many times it is easy to forget how much we pack into our kitchens. Where will you put pots and pans, pantry items, and utensils? Do you have a pet that also needs a little pet nook for a water bowl and food dish? Where should the trash can be? Try to envision your kitchen fully stocked with groceries, the cutting board, pots and pans, etc. Do you have a place for everything that you need? Speak with your designer about creating custom cabinets to fit your lifestyle. Where is your kitchen in relation to the living room, dining room, hallway, or bathroom? Be sure that you have a logical flow in your home. You want a seamless transition between rooms. For example, if your breakfast nook looks out to the living room, make sure that the furniture, cabinets, paint job, and accessories all complement, not clash, with your living space. An interior decorator can spend time speaking with you about how to maximize style with your renovation. Yes, you want your cabinets to be attractive, something that you can enjoy throughout your lifetime. Always opt for higher-end design, especially if you plan on living in the home for a long period of time. This will ensure less worry about repair and maintenance. Enjoy decades of beautiful cabinetry in your custom kitchen. Finally, you have the home of your dreams and it is time for renovation! Know the latest and most popular kitchen renovation ideas for this year. From smart kitchens to a more minimalist approach, there is bound to be an exciting idea perfect for you. Welcome to the 21st century where technology is as essential as the food in your kitchen space. Converting a standard kitchen into a smart kitchen is one of the simplest kitchen renovation ideas to truly modernize your home. Besides the usual smart coffeemakers and appliances, you can custom fit your home with sensors and other devices for extra convenience. For example, motion-sensors strategically placed can be added for light fixtures or under sinks. There are numerous apps that work with your smartphone to monitor everything from coffee making to alerting you when your pantry items are running a little low. The app “Thyme” can set up to five timers while you cook. 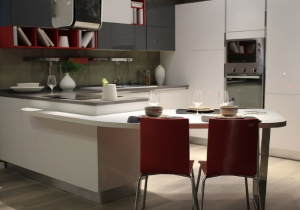 What’s even better is that you can create a smart kitchen no matter what your budget. From low-cost apps to higher-end custom design, you can upgrade your kitchen to your specifications. More luxurious home use quartz countertops. The minimalist streamlined look is durable, lasting for the lifetime of the home. Additionally, you can be assured that it is very sterile. Functional pantry storage is necessary for today’s modern kitchen. Custom cabinetry can be designed to maximize space effectively and attractively. Appliance garages are ideal solutions for appliances. Purchase caddies and roll-out trays for additional convenience. The kitchen can have bountiful hazards for young children and pets. Between hot burners, appliances, sharp utensils, and more, it is easy for loved family members and pets to get hurt. A number of child safety features can be added to your kitchen that will prevent little hands from reaching sharp items, burners, or electrical appliances. Creating a custom pet-friendly space with a doggy bed and feeding station can help your pet avoid the hazards of the kitchen. These can be designed into an island or under a countertop. Enjoy convenience and functionality with these trendy renovation ideas for today. Enjoy a variety of kitchen cabinet door styles to fit your style choices and design preferences. There are many options to choose from. Select from rustic, contemporary, shaker, traditional, and more. Find the right cabinets options for your style preferences. There are beautiful options for every type of décor and theme. Both flat cabinet doors and raised cabinet doors offer their own unique style. 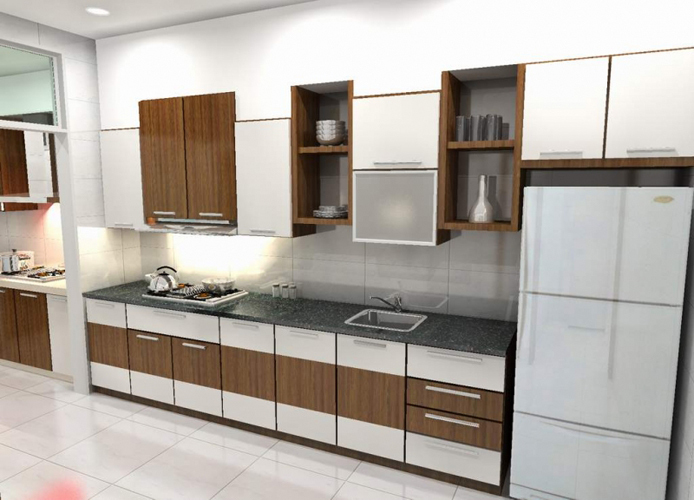 Flat kitchen cabinet door styles are perfect for a clean contemporary look. It is sleek, although it can also fit with a more traditional kitchen design. Raised cabinet doors may be one of the more traditional cabinet door styles, but they are very stylish and come in a variety of finishes. 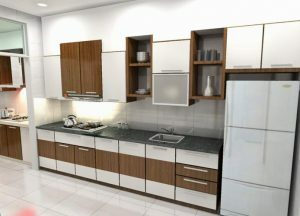 This unique cabinet style differs considerably in looks from the flat and raised cabinet designs. They have no frames or panels. Contemporary homeowners may select this option for its unique stylish look. They come in many finishes like alpine, SoHo, satin white, and maple. There are also flashier options in ruby red or other unique customized colors. Speak with your contractor about what options are available. Go for a truly customized look that meets your unique style with an accent cabinet or customized doors. These can include beautiful glass doors that allow you to showcase your China and spices collections, mullion doors, aluminum frame doors, rattan or mullion doors. Leaded glass, for instance, has many unique patterns from traditional to very modern. Stainless steel panels offer a very sleek contemporary style. The traditional louvered door may work for more traditional kitchen designs that hint at the beauty of nostalgia. There are a variety of patterns, finishes, and colors available. These accent doors are typically not used throughout the entire kitchen, but more as stylish accents to offer unique style. Speak with your designers or contractor about your overall theme in your kitchen. Combine unique patterns, finishes, and designs to complement your home. Select the perfect option that shows off your distinct taste. Many households spend a significant time in the kitchen. These 5 tips for kitchen design on a budget will help you make a culinary sanctuary in your home. Before you begin designing your kitchen, look at the overall layout. What do you like? What do you dislike? Are there changes in the layout that will help you make your more functional or fashionable? Because you are on a budget, you want to look at easy fixes. For example, maybe the breakfast nook can be rearranged to allow for more space for an indoor herb garden. Do you have room for an island? Can you purchase furniture with dual functionality? For example, a breakfast bar that has storage for your pots and pans? Answering these questions with the layout in mind will save you time and money. You don’t need to stainless steel appliances and rip out a wall to make your kitchen look great. Instead, focus on one or two pieces that you will either purchase or refurbish like the kitchen cabinets. 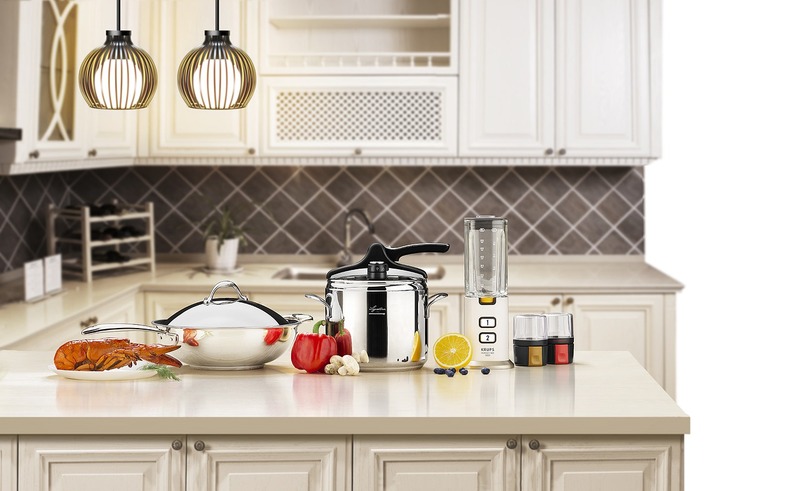 Make them a focal point in your kitchen. This could be the cozy breakfast bar or your barnyard sink. Maybe you have an island. Make sure that one piece is exactly what you want, then design around it. Don’t ever underestimate what a coat of paint can do. Make worn cabinets look spacious with a fresh coat of white paint. Add an accent wall by painting with bright colors like red or yellow. Use stains to refurbish tired looking furniture. Sometimes better lighting is all you need to bring life to your kitchen. Add in new fixtures, if possible. If not, find used standalone lamps that match your décor. Use brighter bulbs (check the manufacturer recommendations). Opt for light curtains to let natural light in. Finally, once you have the basic layout, painting, and light finished, go shopping for knick-knacks and collectibles that give your kitchen character. Choose antiques and cute pictures that showcase your personality. Follow these tips for kitchen design on a budget to truly design a culinary oasis in your home.